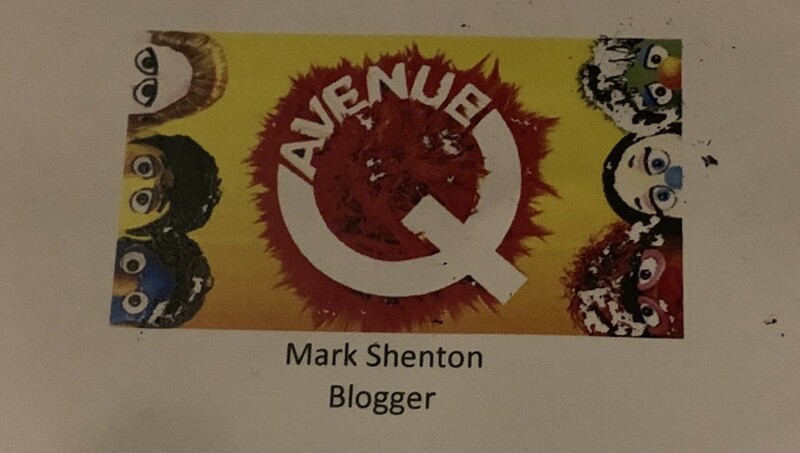 In a first for me, when I picked up my tickets for the press night of the newly-launched tour of Avenue Q at the New Wimbledon Theatre the envelope containing them identified me as “blogger”. I guess that the way things are going all online critics are now bloggers, just as many bloggers consider themselves critics. Is there a difference anyway? Is it about the medium or the message? A review is a review, after all. But it made me think: perhaps I should seize this opportunity: you could say that if you can’t beat them, join them. And I mean no disrespect to the brilliant blogging community by saying this. I am, after all, a co-founder of the blogging portal MyTheatreMates, whose specific aim was to promote the work of bloggers. It was intended as a way of giving greater collective visibility to bloggers. 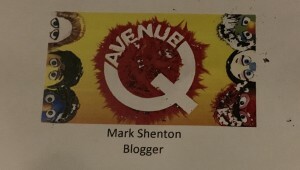 My regular columns for The Stage, which I started writing in 2005, began with the ethos of a blog: a platform that allowed me free reign, five days a week, to comment on anything I wanted to on theatrical matters (and sometimes personal ones, too; it was there that I first announced my firing from the Sunday Express, the day after it happened, back in 2013. Although this wasn’t intentional at the time, it enabled me to own the narrative of what happened, and I’m forever grateful for the support I received). At a time when there weren’t that many commentators around, I ended up being dubbed by none other than Michael Grandage as “the caped crusader” of the theatre industry. Lately, I’ve been reigned in a bit — I now only file two columns a week for The Stage, one of which also appears in the weekly print edition — but I’m also using this personal website channel when I have something else to say, as I did earlier this week. Anyway, one of the joys — but also one of the ever-present dangers — of the blog medium is that no one controls you, except yourself. And this being the web, there’s no reigning in on word limits either. (I’ve seen one online blogger post a review that ran to over 5000 words). Of course, no one is paying me, either, to write it. (Monetising a blog isn’t easy). So obviously my professional writing, for outlets that pay me, takes precedence. But theatre is my passion as well as my profession. And writing here is another outlet for that passion (as well as a passion in and of itself). So I’m going to start generating more regular content for this website, too.